List Rules Vote up the anime laughs that drive you up the wall. Who has the worst anime laugh? One Piece is probably the most notorious show when it comes to annoying anime laughs - which is why it appears three times on this list. But while the Shololololos and Kishishishis of this shonen giant are definitely worth noting, there are other shows with characters whose laughs make you wish you had some industrial strength earplugs. Livebearer from Toriko not only sounds horrendous, but he also laughs while drooling and rotating his rootlike tongue. Cell from Dragon Ball Z laughs like an unenthusiastic vampire while barely moving his mouth. Prepare to get annoyed, and vote up the videos you hated the most. 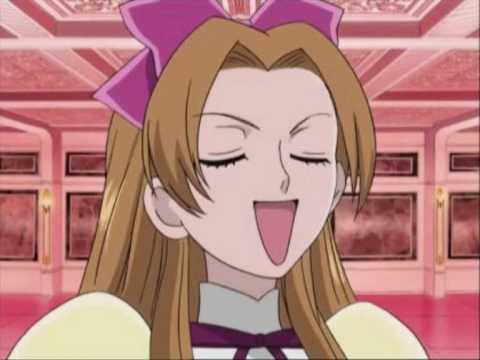 Renge isn't the originator of the Noblewoman's Laugh, but she definitely popularized it. While her laugh completely fits her demanding, in-your-face personality, it's not exactly pleasant to listen to literally every time she appears. 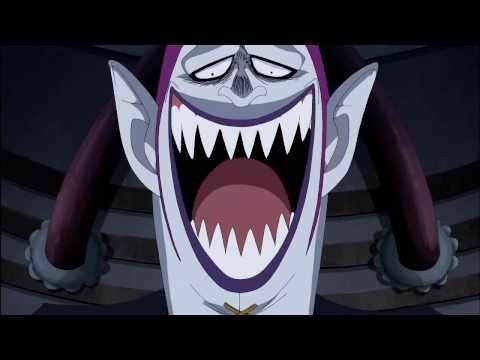 Gekko Moriah is the captain of the Thriller Bark Pirates, and his laugh is an honest-to-god travesty. He sounds like a dog who swallowed a deflating mattress. Even worse, it's an earworm - you won't be able to forget the sound long after the scene is over. Kodachi Kuno is a gymnast and martial artist who is in love with Ranma and wants to marry him. Ranma is totally indifferent to her, so she tries to get his attention through violent means. She does this while yodeling like a badger. Sounds like: Beh... heee heeee heeee. Ohohoho. The first terrible thing about Livebearer's laugh is having to look at the underside of his tongue - that thing looks like a plant that grows in the depths of hell. The second terrible thing is the ringlets of drool cascading out of his mouth as he snickers to himself about eating people's memories. Basically, this nasty casino owner is like a Pokémon who knows Dream Eater, but way less cute, and with a way worse laugh.